If you have indoor and outdoor pets, then you can have fleas. Despite your best efforts to control fleas on dogs and cats, the little pests can still hop a ride on your pet and be brought indoors. Fleas like to feed on the blood of their hosts, much like mosquitoes, ticks, or bedbugs. While they prefer dogs and cats, they aren’t finicky and will feed on humans too. While fleas can carry some diseases, most of the time they are harmless. But they can be unsightly to look at, and will often cause small red bites on humans that can cause allergic skin reactions. These reactions can become quite itchy and leave big red welts on the skin. Most people who see fleas on their pets, or fleas in home or garden, should immediately begin steps to eradicate these troublesome pests. Many homeowners and pet owners are hesitant to spray a pesticide around their home, as some are known to cause liver and kidney disease in pets. Natural solutions for pest control should be found first before resorting to pesticides, or hiring pest control companies, which can become costly. While fleas are annoying, they are also very small, so we have a good advantage over with by eradicating with a natural pest control method, such as borax, or borax and water. You may be familiar with laundry detergents that contain borax to wash your clothing and clean your home. Borax contains minerals that are formally known as sodium borate. It may also have other names, such as sodium tetraborate or disodium tetraborate. It’s basically a boron compound and a salt of boric acid. The borax that we purchase in a store to use for cleaning in our homes are usually is a mixture of boric acid, sodium, and oxygen. Borax is a white substance, much like salt. It consists of crystals that can be dissolved in water. Even though borax can be dissolved in water, since it’s composed of minerals, it’s still effective for pest control, as the minerals themselves never dissolve in the water. Borax is used for more than flea control, it’s often used for other types of pest control too. This is because its crystalline structure can slice through the pest’s body structure even when suspended in fluid. The version of borax that is sold in our stores for cleaning and pest control is actually partially dehydrated so it has a longer shelf life and is more effective at killing insects. It’s believed that the first discovery of borax was found around the 8th century AD in Tibet. Humans first discovered how useful and safe it was to use. Borax is also perfect for pest control as it has no smell, and won’t provide an unpleasant smell if you use it in your home or garden. Fleas are extremely small insects that are often dark red or black in colour. They are commonly found in carpets in the home, and on the sidewalks or grasses outside. While they are wingless, they can jump great distances. Even if you feel that you do a good job of pest control in your garden, your neighbour may not. It only takes one flea to jump the fence, where it’ll lay in wait until your dog or cat walks past, then it’ll hitch a ride. Fleas can be extremely annoying to dogs and cats. One or two fleas may not be so serious as Fluffy or Fido scratches or bites the itchy spots. But soon, two fleas can turn to hundreds. This is where the term “flea bitten” came from. Soon, a pet that is completely infested in fleas can lose their fur and be susceptible to skin infections. What was a minor condition can turn serious, resulting in a trip to the vet, and one unhappy dog or cat that must have a flea bath. Even worse, fleas can infiltrate your home. It can be time-consuming having to spray for fleas, vacuum, and wash all linens every day. This is why it’s important to deal with fleas as soon as you see them. If your pet is scratching, they may have fleas. While most fleas are mostly harmless today, it’s important to note that throughout history, fleas have transferred many diseases to humans and other animals, including the plague and myxomatosis. Your baby or young child may not have the immune system to fight the diseases that a flea may carry. And it may be simple to say, have no pets, but fleas can jump long distances, and they don’t discern between the pet-free home or the pet home. Even if you don’t have pets, you may still need to use borax for a safe home and garden free from pests. Is Borax Safe to Use Around Dogs & Cats? Borax is safe to use around pets in the home or garden as long as you use it correctly, and ensure your pets can’t get into the box or container, and that you follow application directions. The main issue with borax is that your pet may lick it off their paws. A trace amount after treating your home or garden is less likely to harm them than if they stuck their paws into a full container of it and licked it off. Borax is a mineral that should go through human or pets systems easily, due to it’s small crystals, while still killing smaller pests. This is due to a larger ratio of one borax crystal to one small flea that can dehydrate them. 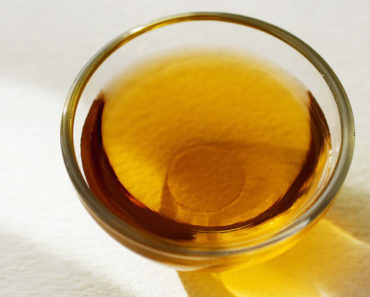 Borax will also kill adults fleas and flea larvae. Borax is a lot safer to use in your home or garden then other pesticides that you would purchase form the store. There can be minor risk in using it around pets, however, you must consider that your flea problem needs to be dealt with, and that exposing your dog or cat to a minute amount of borax is going to be safer for them than suffering from fleas that can lead to disease, or using other pesticides that will definitely harm them. Begin your borax garden treatments first. This is the first line of defence against killing fleas before they reach the insides of your home. Your first step should be to use water to kill fleas. Remember that fleas live close to the ground and not on plants. Give your entire garden and yard a good watering. Use a pressure washer and hose down your patio, driveway, and any other sidewalks and concrete surfaces. For the next step, keep all your pets inside for at least 24 hours. Your next step will be to mix borax with water, to create a solution that you will use to spray on the hard surfaces of your yard and garage. Mix half a cup of borax with water and pour it into a spray bottle. Shake well to mix before using it. Spray the solution over your patio and the hard or paved parts of your yard. Let it dry completely. But you’re not done yet. Use your hose or pressure washer and spray down the surfaces where you used the borax. This treatment will kill the insects on contact. The rinsing is to make your garden safer for your pets so they aren’t exposed to a large amount of borax. Only let your pets back outside at least 24 hours later. Only use the solution once every two weeks if you continue to see more fleas outside. Borax can be used most effectively right out of the box but can also be mixed with water to wash down floors. If you’re treating your home for fleas, treat one part of the home per day, and lock up your pets in the other part. You’ll also want to have your children in another room. Begin by thoroughly vacuuming all floors and furniture to capture most of the loose fleas. You can then wash your floors with a borax and water solution. You’ll also need to do a fresh water rinse of the hard floor surfaces in your home, as the residue left behind can cause breathing difficulties in smaller pets or children. This final rinse should remove most of the borax substance from the floors, and by how all the fleas should be dead. For carpets and rugs, simply sprinkle a light layer over the surface of the fibres. Leave the borax on for 6 hours. If you don’t have any pets or children, leave it on for two days. If you do have children and pets, do a thorough vacuum of your carpets and rugs after the six hour time limit is up. This should be enough time to kill the fleas. Since the fleas are harmed by simply water, you may even wish to do a steam clean of all carpets, minus a cleanser, if you continue to see fleas in your home. After treatment, you should place blankets or pet beds on the couch to encourage your pets to stay off the floor for the next day or two. Also place a blanket down on the ground for your children. If you observe some cautionary measures when using borax in your home to combat fleas, your family and pets will be able to stay safe. Never sprinkle borax power directly onto your pet. They may lick it off and it will be harmful to them. Keep the borax box or container in a higher cupboard so pets and toddlers can’t open it up and eat it. 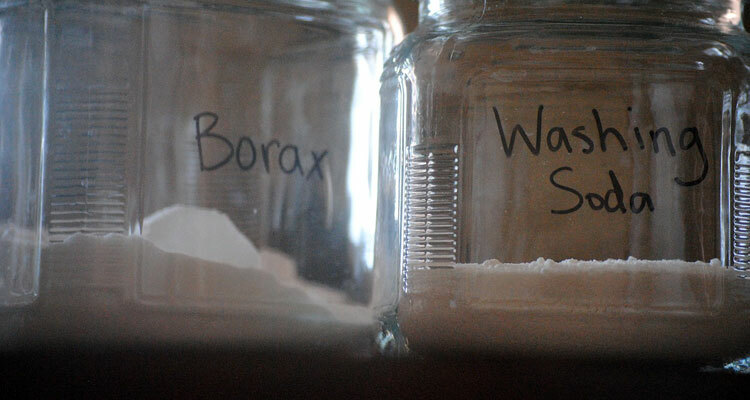 Store your borax in the hallway cupboard, away from moisture. It can become extremely hard and difficult to use if it’s in a solid form. Don’t use your borax water solution on your carpets as it can discolour them. Do not let your baby or child linger on surfaces treated with borax, as it is known to cause skin allergies. Place a blanket down for children or pets. It’s recommended that pregnant women stay away from borax completely. Instead, use the vacuum cleaner frequently, and basic water and vinegar to spray and clean surfaces. Borax can cause breathing difficulties in kittens and puppies, some cats, and even babies and toddlers, so place these family members in another room while you treat your home. It helps to only treat one or two rooms in a week, so the borax isn’t so overwhelming to smaller family members that can be susceptible. Borax will kill flea larvae and adult fleas, but it will not kill flea eggs. You will need to reapply your borax again in two weeks. After that time, you should be good. Do one more treatment at the end of flea season in the fall. In early spring, due one full borax for fleas treatment inside and outside. This should be enough to avoid fleas entirely. Never use borax on your household plants, on your outdoor grass, or in the soil where there are plants. Stick to plain tap water. But you can treat your pathways and other paved regions with borax. Borax can also kill weeds. Borax can also be safely used to control ant invasions and bedbugs in the home. 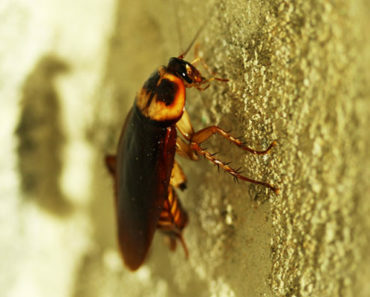 The techniques may be a bit different, so do research to find out the best ways to manage these types of infestations in your home or garden. When observing a few cautions for your smaller family members, borax can be a much safer and more effective way to treat your home and garden for fleas. 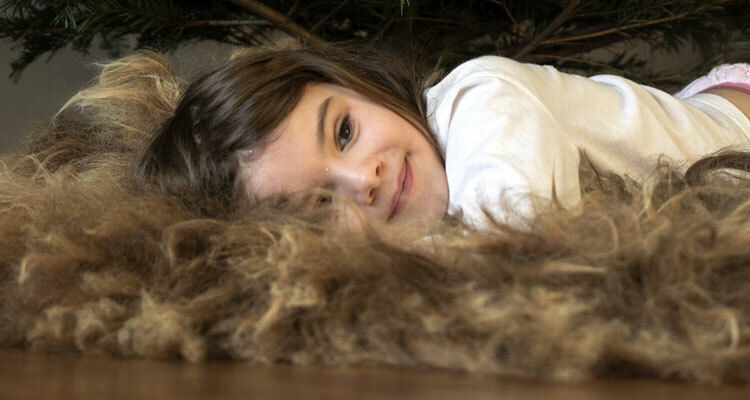 Soon you and your family will be able to walk across the floor without fear of getting tiny little bites, or having to scratch your skin raw. Your pets will also be extra-happy that they don’t have annoying pests biting their skin.